Vignesh Devasenapathy, Project Manager PLT Greenfield Rayong (far left); Nikolai Setzer, Member of the Executive Board of Continental and Head of Tire Division; Dr. Somchai Harnhirun, Thailand’s Deputy Minister of Industry; Sirivan Koo-Amphorn, general manager of Continental Tyres Thailand; and Georg Schmidt, German Ambassador to Thailand at the Greenfield plant grand opening. Starting operations on schedule only two years after the groundbreaking ceremony, the tire manufacturing facility welcomed around 500 guests at its grand opening ceremony. Dr. Somchai Harnhirun, deputy minister of industry of the Kingdom of Thailand, Nikolai Setzer, member of the executive board of Continental and head of its tire division, Continental management, the local project team and employees, as well as suppliers, dealers and representatives of academic institutions gathered on site to celebrate this important milestone. 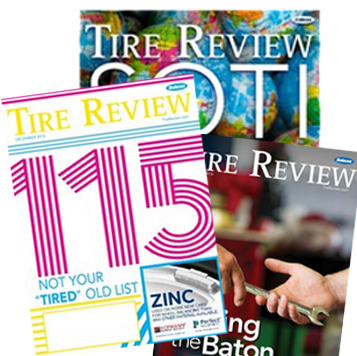 The new tire plant is a 250-million-euro ($281 million) investment in Thailand and is equipped with state-of-the-art technology to produce about four million passenger and light truck tires for Thailand and the APAC region. “We are honored to celebrate with you today the opening of our first Greenfield Tire Plant in Thailand. The investment here, in Rayong, is an integral part of Continental’s Tire Division growth strategy called ‘Vision 2025’ and further improves the balance of our global tire manufacturing footprint, strengthening our production capacities for Asia Pacific and enabling us to better serve our customers in the region” said Nikolai Setzer, member of the executive board of Continental and head of its tire division. “This is an extraordinary achievement, which was only possible through the excellent collaboration with the Thai Government, local institutions and our dedicated team who demonstrated once again our core value Passion-to-win, even with a very complex project. 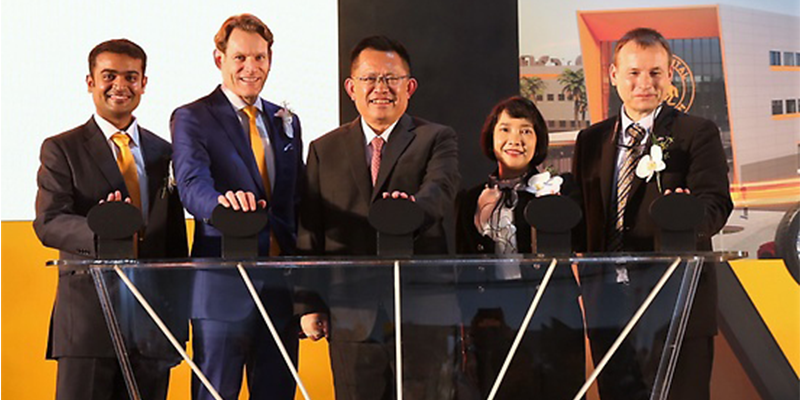 This is not just a milestone, with this investment, we have built a foundation for our common success, writing together history in the automotive industry in Thailand,” Setzer said in his welcoming speech. Dr. Somchai Harnhirun, deputy minister of industry of the Kingdom of Thailand, said the plant strengthens the local economy in Rayong and creates hundreds of new jobs in Thailand. The Greenfield plant is built with the best-in-class energy efficiency standards, and machines are equipped with technology for sustainable production processes, Continental said. Higher automation of logistics and handling processes will ensure an ergonomic work environment for future employees.